Below is the ninth in a series of monthly featured words to help captioners build their dictionaries and knowledge. The words for this series are being provided by Steve Clark, CRC, a captioner from Washington, D.C. Clark captions for Home Team Captions and covers the Baltimore Ravens NFL team and the Washington Nationals baseball team. 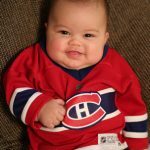 Our terms this month, Baby Habs, comes from hockey and refers to the American Hockey League (minor league) team affiliated with the Montreal Canadiens of the National Hockey League. 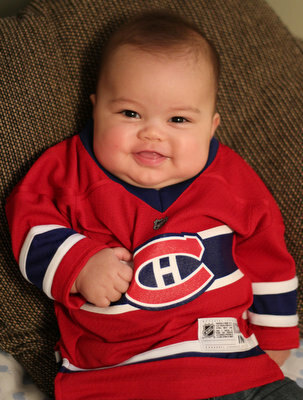 One of the nicknames for the NHL Montreal Canadiens, in French, is Les Habitants, sometimes shortened to “the Habs.” Therefore, the minor league team has come to be known as the Baby Habs. Below is the eighth in a series of monthly featured words to help captioners build their dictionaries and knowledge. The words for this series are being provided by Steve Clark, CRC, a captioner from Washington, D.C. Clark captions for Home Team Captions and covers the Baltimore Ravens NFL team and the Washington Nationals baseball team. 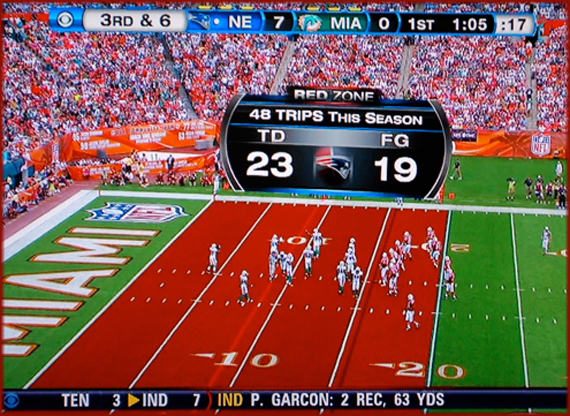 Our term this month, red zone, comes from football. 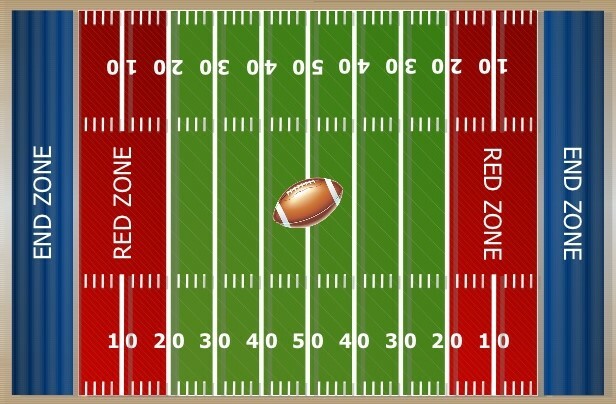 At the end of this email is a diagram showing the area on the field that is the red zone. 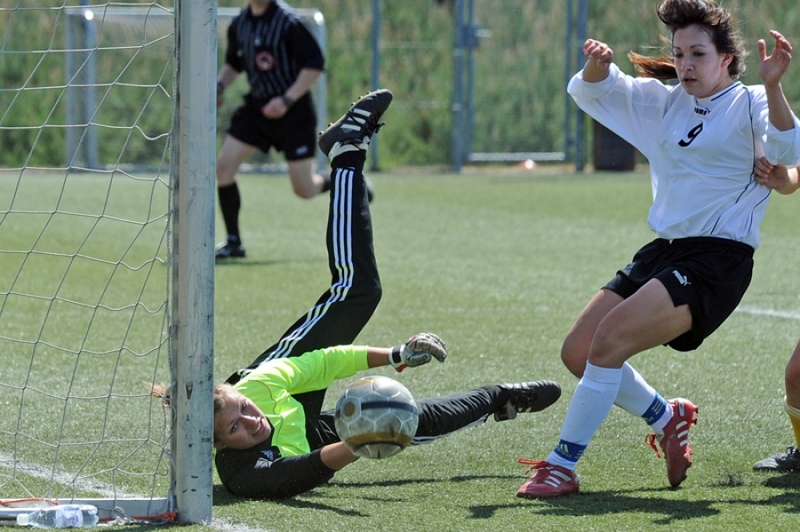 In football, the area between the 20-yard line and the goal line at both ends of the field. 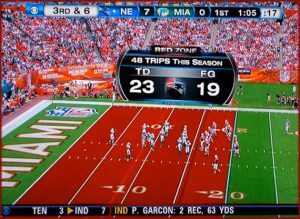 I have had a difficult time finding a plausible explanation for why the red zone is called the red zone, particularly why the color red was chosen. 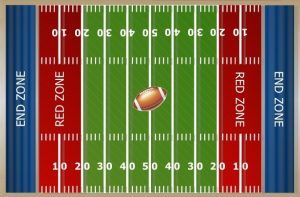 There are two prevailing thoughts that seem to make sense: One thought is that the color red denotes warning, and so when the offensive team enters the red zone, the defensive team heeds this warning and is aware that the offensive team is close to scoring. The second thought is that once the offensive team is in the red zone the chance of scoring is higher, including the chance of successfully kicking a field goal. Below is the seventh in a series of monthly featured words to help captioners build their dictionaries and knowledge. The words for this series are being provided by Steve Clark, CRC, a captioner from Washington, D.C. and NCRA Board member. Clark captions for Home Team Captions and covers the Baltimore Ravens NFL team and the Washington Nationals baseball team. 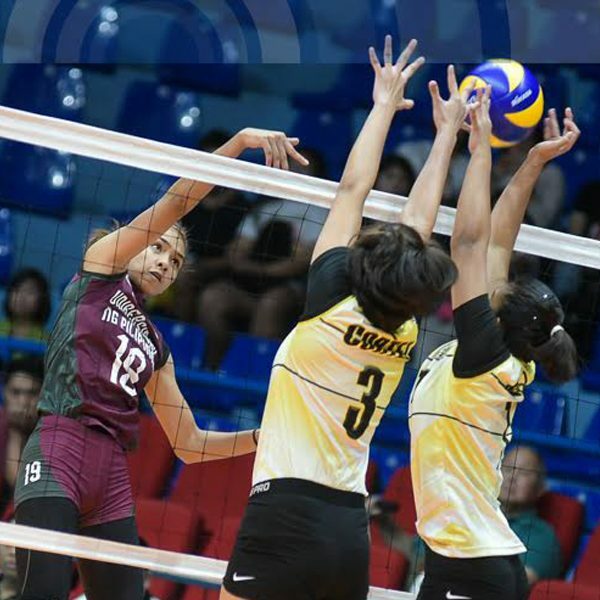 Our terms this month, seed and berth, come from many sports. A preliminary ranking used in arranging brackets to determine which teams (or players) play each other in a tournament. Typically, teams or players are “planted” into the bracket in a manner that is intended so that the best teams don’t meet until later in the competition. Remember, a team is seeded, not seated. A slot held by a team (or player) which allows it to compete in a tournament. In NCAA basketball, conference tournament champions from each Division I conference receive automatic bids, or berths. The remaining slots are at-large berths, with teams chosen by an NCAA selection committee. Remember, a team earns a berth, not birth. Below is the fourth in a series of monthly featured words to help captioners build their dictionaries and knowledge. 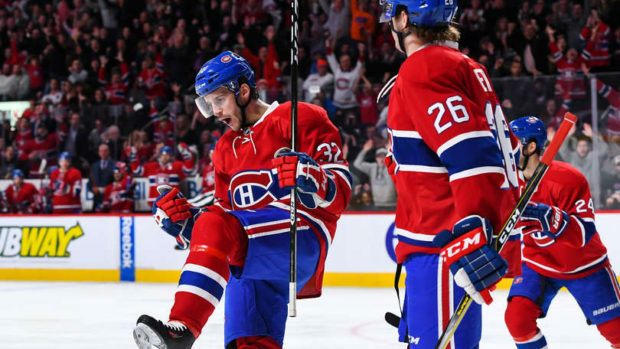 The words for this series are being provided by Steve Clark, CRC, a captioner from Washington, D.C. Clark captions for Home Team Captions and covers the Baltimore Ravens NFL team and the Washington Nationals baseball team. Clark also co-chairs NCRA’s Broadcast and CART Captioning Committee. 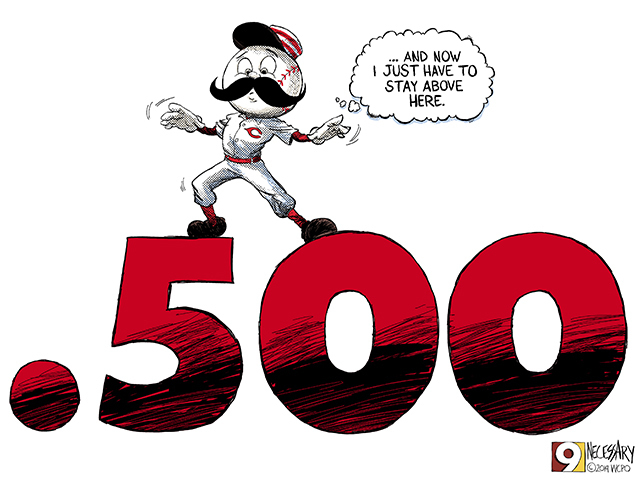 Our term this month, .500, comes from practically every sport. While this is a pretty straightforward term and an easy definition, the added definition of 1.000 usually trips us up. The definition of 1.000 is included at the end. Having the same number in both one category and its opposite category; for example, having the same number of wins as losses. A team that has won six games and lost six games has a .500 record. A basketball player who has shot the ball four times and made two of those shots is shooting .500. This is heard quite often in baseball, as in “He’s batting 1.000.” This is often spoken as “he’s batting a thousand.” For clarity when captioning, I tend to write “he’s batting 1.000” even when spoken as “he’s batting a thousand.” This is one of those terms that has become a part of our everyday jargon, meaning someone has been perfect at something. Below is the third in a series of monthly featured words to help captioners build their dictionaries and knowledge. 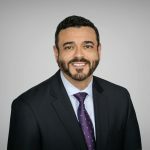 The words for this series are being provided by Steve Clark, CRC, a captioner from Washington, D.C. Clark captions for Home Team Captions and covers the Baltimore Ravens NFL team and the Washington Nationals baseball team. 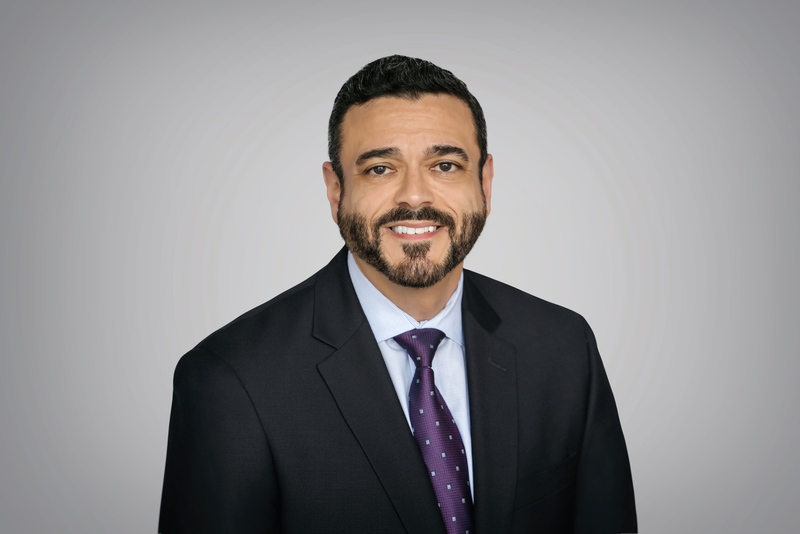 Clark also co-chairs NCRA’s Broadcast and CART Captioning Committee. Since the Major League Baseball All-Star Game was this month, our term this week, tape measure home run, comes from baseball. The link below contains a short video which further describes this term and its very interesting origin. In baseball, a home run is a hit that allows the batter to run the bases and reach home plate safely. 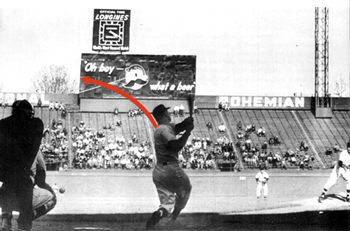 Most often this occurs when the ball is hit fairly over the outfield fence or wall. A tape measure home run is a home run that travels an exceptionally long distance. “Ready? Begin.” These two simple words strike fear in my heart. But why do these seemingly innocuous words unhinge not only me but also countless other court reporters across the country? Because they denote that a test is ready to begin. And regardless of whether a court reporter is taking the RPR, RMR, CRR, or local state exam, there is a sense of pressure associated with having one’s skills tested. For me, I was the court reporting student others hated. I never stressed about tests and had a seemingly natural ability at taking tests during school. That all changed when I hit 200 wpm, however. But yet even at that speed, I never experienced test anxiety. I merely experienced the realization that I needed more practice to achieve that next speed goal. Fast forward 13 years after court reporting school, and I have taken three separate state exams and the RPR with minimal test anxiety and the knowledge that I knew that I was fast enough to take any test thrown my way. That is, of course, until the dreaded Certified Realtime Reporter exam. I was cruising right along just fine until that first misstroke. And then I was back in my groove of writing, all the while telling myself to concentrate. But then the mental talk began. And so my first failure occurred. And although I would love to share with anyone reading this article the very happy ending that I overcame all of my fear and am the proud recipient of my CRR, the sad truth is, it still eludes me. And now you may ask as you read this: Why is a court reporter that cannot pass the CRR test on the NCRA Realtime TRAIN Task Force? Trust me, I asked the very same question. But the answer I came up with should be shared freely and without reservation to every court reporter out there: Although I do not have that wonderful acronym of “CRR” after my name, I do provide realtime to my judge, attorneys, and anyone who asks. I do this to hone my skills and become a better court reporter. I do this to combat the electronic recording that threatens our prestigious profession across the states. I have proven myself invaluable to my judge, and he sings my praises to attorneys and other judges. He tells attorneys that a court recorder will never be able to take the place of a court reporter. How could they, when a reporter can provide you exactly what was spoken at the very moment it was spoken? So to those court reporters who have never tried realtime for fear that their writing is “not good enough,” I say, if this four-time-realtime-exam failure can do it, then so can you! Kristy Clark, RPR, is a freelancer based in Las Vegas, Nev. She can be reached at krorper74@cs.com. An article that appeared in the fall 2014 issue of The Transcript, the membership newsletter of the New York State Court Reporters Association, addresses the differences between deaf, hearing impaired, late deafened, and hearing loss, as well as the reasons why CART captioners should understand each term. Authored by NCRA member Mirabai Knight, RDR, CRR, CBC, CCP, owner of StenoKnight CART Services in New York, N.Y., the article encourages all CART providers to research hearing loss in all forms to ensure they provide the best possible services to clients. Student’s Corner: Gotta love that Latin! If you start to study Latin, you will learn the words – like any other language — and you’ll learn lots of legal terminology as well. Best of all, you won’t get so thrown by Latin terms. Here are a few goodies, plus some regular English words that I just have to throw in because I think they’re really funny! Nunc pro tunc. It sounds pretty much just how it looks. I love this one! Kind of rolls right off your tongue. Fun to write, too! Anyway, the Latin is “Now, for then,” and basically it is a judgment or order by a court correcting usually a clerical rather than a judicial error. It applies retroactively to an earlier ruling. Say for example there’s a divorce. For some unknown reason, the final divorce decree never got filed, so therefore, the divorce is technically not final. This could bring us some huge problems, for instance, if one of the parties decided to remarry. A nunc pro tunc order would be issued by the court making the divorce final, retroactive to the earlier date. Res ipsa loquitur. This one pretty much sounds the same as well, but don’t ask me for a brief on this one. I don’t hear it come up much, but I remember this from when I was in school. The Latin means “The thing speaks for itself.” The doctrine of res ipsa loquitur states that the elements of duty of care can sometimes be inferred due to the very nature of an accident, even without direct evidence. An example would be getting hit by a rock that flew off a passing dump truck. Ipso facto. I like this one, too. Latin for “By the fact itself.” An example would be an alien, ipso facto, has no right to a U.S. passport. It refers to the fact that it must be proven that a crime has occurred before a person can actually be convicted of committing same. In other words, corpus delicti would be the body of evidence, so to speak. For example, you can’t charge somebody with larceny if you can’t prove something was taken. In the case of murder, I’m sure there’s plenty of people sitting on death row right now who got convicted of a murder saying to themselves, “How could they convict me if they didn’t find the body?” Answer: Good circumstantial evidence. Here are some words that are just plain funny to me! They don’t sound (well, maybe one does) anything like what they look like, and they’re in my dictionary exactly the way they sound. Segue. (Sounds like SEG-way) It means a smooth transition from one thing to another. This case or this doctrine or this line of questioning or whatever segues into my next point. Something along those lines. Hyperbole. (Sounds like high-PURbowl-lee) This one has to be my favorite. Hyperbole is a figure of speech, kind of like a simile but not quite. Saying “this thing weighs a ton” when it doesn’t weigh anything near that, or saying “we knew each other about 100 years ago” are examples of hyperbole. This one, believe it or not, is in my dictionary as Hyper-bowl. I’m sorry, I can’t do it any other way. Students, study language! The more familiar you are with it, the better you will be at your job. Lisa Selby-Brood, RPR, is a freelance court reporter in Palm Harbor, Fla. She can be reached at lspiggy@tampabay.rr.com and through NCRA’s Virtual Mentors Program. Just in time for the holidays, students at 22 NCRA certified court reporting schools across the nation received older versions of the association’s Glossaries for Court Reporters book, which was updated in summer 2013. More than 650 books, representing a $17,000 value, were given away by NCRA to the various schools. According to Carrie M. Robinson, RPR, CRI, a realtime reporting instructor at Gadsden State Community College in Gadsden, Ala., the donation of books by NCRA is a welcomed resource for students learning to write realtime and shows NCRA’s dedication to aiding in the success of future court reporters. “NCRA’s recent donation of Glossaries for Court Reporters provides an amazing resource for all reporters. It is especially useful to our students who are not only learning to write but who are learning the imperative responsibility of researching unfamiliar terms,” Robinson said. Anoka Technical College, Anoka, Minn.
Brown College of Court Reporting, Atlanta, Ga.
Bryan University, Los Angeles, Calif.
Community College of Allegheny County, Pittsburgh, Pa.
Green River Community College, Auburn, Wash.
Hinds Community College, Raymond, Miss. Long Island Business Institute, Commack, N.Y.
New York Career Institute, New York, N.Y.
Orleans Technical Institute/Court Reporting, Philadelphia, Pa.
Realtime Center for Learning, Westbury, N.Y.
Sheridan Technical Center, Hollywood, Fla.
St. Louis Community College-Meramec, St. Louis, Mo. StenoTech Career Institute, Piscataway, N.J. The 2013 version of the Glossaries book is available for purchase at NCRA.org/store. transcription: The fourth of seven steps in the HIV life cycle. Transcription occurs after HIV has integrated its viral DNA into the DNA of the host cell. During transcription, the host cell uses the genetic instructions carried in HIV DNA to make new HIV RNA, including HIV messenger RNA (mRNA). translation: The fifth of seven steps in the HIV life cycle. Translation occurs after the host cell makes new HIV RNA. During translation, the host cell uses the genetic instructions carried in the new HIV RNA, specifically messenger RNA (mRNA), to make HIV proteins. transmitted resistance: Also known as: Primary Resistance. When a person becomes infected with a strain of HIV that is already resistant to certain antiretroviral (ARV) drugs. transplacental: Passage through or across the placenta. Transplacental usually refers to the exchange of nutrients, waste products, drugs, infectious organisms, or other substances between the mother and the fetus. treatment failure: When an antiretroviral (ARV) regimen is unable to control HIV infection. Treatment failure can be clinical failure, immunologic failure, virologic failure, or any combination of the three. Factors that can contribute to treatment failure include drug resistance, drug toxicity, or poor treatment adherence. treatment regimen: Also known as: Regimen. A structured treatment plan designed to improve and maintain health. Recommended HIV treatment regimens include a combination of three or more antiretroviral (ARV) drugs from at least two different drug classes. treatment-experienced: When a person with HIV is currently taking or has previously taken antiretroviral (ARV) drugs. treatment-naïve: When a person with HIV has never taken antiretroviral (ARV) drugs. triglycerides: A type of fat in blood and adipose (fat) tissue. triple-class experienced: When an HIV-infected person has received antiretroviral (ARV) drugs from three drug classes — the nucleoside reverse transcriptase inhibitor (NRTI), non-nucleoside reverse transcriptase inhibitor (NNRTI), and protease inhibitor (PI) drug classes. true negative: A negative test result that correctly indicates that the condition being tested for is not present. For example, a true negative HIV test correctly indicates that a person is not infected with HIV. true positive: A positive test result that correctly indicates that the condition being tested for is present. For example, a true positive HIV test correctly indicates that a person is infected with HIV. tuberculosis (TB): An infection caused by the bacteria Mycobacterium tuberculosis and Mycobacterium bovis. Tuberculosis (TB), also referred to as Mycobacterium infection, is spread when a person with an active infection (TB disease) coughs, sneezes, speaks, or sings, and then a person nearby breathes in the bacteria. TB usually affects the lungs, but it can also affect other parts of the body, such as the kidneys, spine, and brain. There are two forms of TB: latent TB infection and TB disease. In people with HIV, TB is considered an AIDS-defining condition. tuberculosis disease: The active form of tuberculosis (TB) infection. During TB disease, the bacteria multiply, become active, and make the person sick. A person with TB disease of the lungs can spread TB to others. TB disease primarily affects the lungs, but it can also affect other parts of the body, such as the kidneys, spine, and brain, and it can be fatal. Symptoms include a bad cough that lasts three weeks or longer, chest pain, coughing up blood or sputum, weakness, fatigue, loss of appetite, weight loss, fever, chills, and sweating at night. In people with HIV, TB disease is an AIDS defining condition. tuberculosis skin test: Also known as: purified protein derivative test, tuberculin skin test. A screening test for tuberculosis (TB). Purified protein derivative (PPD) extracted from the bacterium that causes tuberculosis is injected just below the skin (intradermally). After 48 to 72 hours, a health care professional checks the site of injection for a reaction that indicates that the person has been exposed to TB. Following a positive TB skin test, additional tests are necessary to determine whether a person actually has active TB (TB disease). Certain populations, such as children, the elderly, or people with weakened immune systems, may have smaller, delayed, or negative reactions to the TB test even if they are infected with TB. undetectable viral load: When the amount of HIV in the blood is too low to be detected with a viral load (HIV RNA) test. Antiretroviral (ARV) drugs may reduce a person’s viral load to an undetectable level; however, that does not mean the person is cured. Some HIV, in the form of latent HIV reservoirs, remain inside cells and in body tissues. urinalysis: Physical, chemical, and microscopic examination of urine. Urinalysis can detect a specific substance, such as glucose or blood, in the urine — this can be helpful in diagnosing a disease or monitoring the body’s response to treatment. urolithiasis: Calculi (stones) in the urinary tract. Use of some antiretroviral (ARV) drugs may cause urolithiasis. urticarial: Also known as: hives. Raised, swollen, itchy areas on the skin or mucous membranes, usually caused by an allergic reaction to a drug or food. vaccination: Also known as: immunization. Giving a vaccine to stimulate a person’s immune response. Vaccination can be intended either to prevent a disease (a preventive vaccine) or to treat a disease (a therapeutic vaccine). vaccine: Also known as: Inoculation. A substance administered to trigger an immune response against a particular disease. Most vaccines are designed to prevent a person from ever having a particular disease or to only have a mild case of the disease. However, therapeutic vaccines are intended to treat specific diseases. Although researchers are testing vaccines both to prevent and treat HIV/AIDS, no HIV vaccine is currently approved for use outside of clinical trials. vaccinia: The pox-type virus used in the vaccine that eradicated smallpox. Researchers are studying the possibility of using a modified, milder version of the vaccinia virus to develop a vaccine against HIV infection. vacuolar myelopathy: A neurological disorder associated with advanced HIV infection. Vacuolar myelopathy causes the protective myelin sheath to pull away from nerve cells of the spinal cord, forming small holes (vacuoles) in nerve fibers. Symptoms of vacuolar myelopathy include weak and stiff legs and unsteadiness when walking. varicella zoster virus (VZV): Also known as: herpes zoster, human herpesvirus 3. A type of herpesvirus that causes chicken pox. After initial infection with varicella zoster virus (VZV), the inactive (latent) form of the virus can remain in the body. If the latent virus becomes active again, it can cause shingles. vector: In genetically engineered vaccines, a vector is a bacterium or virus that transports antigen-coding genes into the body to provoke an immune response. (The vector itself does not provoke an immune response or cause disease.) A vector may also refer to an organism, especially an insect, that transmits disease-causing agents. vertical transmission: Vertical transmission of HIV refers to HIV transmission from an HIV-infected mother to her child during pregnancy, labor and delivery, or breastfeeding (through breast milk). viral evolution: The change in the genetic makeup of a virus population as the viruses mutate and multiply over time. HIV evolves rapidly because of its high mutation and replication rates. Antiretroviral therapy (ART) and the body’s immune response can also influence HIV evolution. viral latency: When a virus is present in the body but exists in a resting (latent) state without producing more virus. A latent viral infection usually does not cause any noticeable symptoms and can last a long period of time before becoming active and causing symptoms. HIV is capable of viral latency, as seen in the reservoirs of latent HIV-infected cells that persist in a person’s body despite antiretroviral therapy (ART). viral load (VL): The amount of HIV in a sample of blood. Viral load (VL) is reported as the number of HIV RNA copies per milliliter of blood. An important goal of antiretroviral therapy (ART) is to suppress a person’s VL to an undetectable level—a level too low for the virus to be detected by a VL test. viral load test: A laboratory test that measures the amount of HIV in a blood CERTIFICATION sample. Results are reported as the number of copies of HIV RNA per milliliter of blood. Examples of viral load tests include quantitative branched DNA (bDNA), reverse transcriptase-polymerase chain reaction (RT-PCR), and qualitative transcription-mediated amplification. Viral load tests are used to diagnose acute HIV infection, guide treatment choices, and monitor response to antiretroviral therapy (ART). viral rebound: Also known as: rebound. When a person on antiretroviral therapy (ART) has persistent, detectable levels of HIV in the blood after a period of undetectable levels. Causes of viral rebound can include drug resistance or poor adherence to an HIV treatment regimen. viral replication: Also known as: replication. The process by which a virus multiplies. viral suppression: Also known as: virologic control. When antiretroviral therapy (ART) reduces a person’s viral load (HIV RNA) to an undetectable level. Viral suppression does not mean a person is cured; HIV still remains in the body. If ART is discontinued, the person’s viral load will likely return to a detectable level. viral tropism: Also known as: tropism. When HIV selectively attaches to a particular coreceptor on the surface of the host cell. HIV can attach to either the CCR5 coreceptor (R5-tropic) or the CXCR4 coreceptor (X4-tropic) or both (dual-tropic). viremia: The presence of viruses in the blood. viricide: Also known as: virucide. A substance that can destroy or inactivate a virus. virologic failure: A type of HIV treatment failure. Virologic failure occurs when antiretroviral therapy (ART) fails to suppress and sustain a person’s viral load to less than 200 copies/mL. Factors that can contribute to virologic failure include drug resistance, drug toxicity, and poor treatment adherence. virology: The study of viruses and viral diseases. virus: A microscopic infectious agent that requires a living host cell in order to replicate. Viruses often cause disease in humans, including measles, mumps, rubella, polio, influenza, and the common cold. HIV is the virus that causes AIDS. visceral adipose tissue (VAT): Also known as: intra-abdominal fat, visceral fat. Fat tissue located deep in the abdomen and around internal organs. Use of certain antiretroviral (ARV) drugs can cause excessive accumulation of visceral adipose tissue (VAT), which increases the risk of heart attack, stroke, and diabetes. wasting syndrome: An involuntary loss of more than 10% of body weight (especially muscle mass), plus at least 30 days of either diarrhea or weakness and fever. HIV-associated wasting syndrome is an AIDS-defining condition. Western blot: A type of antibody test used to confirm a positive result on an HIV screening test. (The initial screening test is usually an enzyme-linked immunosorbent assay [ELISA] or, less often, a viral load test). The immune system responds to HIV infection by producing HIV antibodies. A Western blot can detect HIV antibodies in the blood, oral fluid, or urine. white blood cell: Also known as: leukocyte. A type of cell found in blood and lymph. White blood cells are key components of the immune system and help fight infection and disease. Examples of white blood cells include lymphocytes, neutrophils, eosinophils, macrophages, and mast cells. wild-type virus: The naturally occurring, non-mutated strain of a virus. When exposed to antiretroviral (ARV) drugs, wild-type HIV can develop mutations that make the virus resistant to specific ARV drugs. window period: The time period from infection with HIV until the body produces enough HIV antibodies to be detected by an HIV antibody test. This generally takes two to eight weeks, but in some people it can take up to six months. During the window period, a person can have a negative result on an HIV antibody test despite being infected with HIV. Women’s Interagency HIV Study (WIHS): Started in 1993, the Women’s Interagency HIV Study (WIHS) is an ongoing federally funded study on women who have HIV or who are at risk for HIV. Analysis of biological specimens and medical and behavioral data collected on WIHS participants has contributed to the understanding of HIV, AIDS, and the effects of antiretroviral therapy (ART) in women. World Health Organization (WHO): The agency of the United Nations that provides global leadership on health-related matters. Responsibilities of the World Health Organization (WHO) include shaping the global health research agenda, setting health standards, promoting evidence-based policy options, providing technical support to countries, and monitoring and assessing health trends. X4-Tropic Virus: Also known as: T-tropic virus. A strain of HIV that enters and infects a host cell by binding to the CXCR4 receptor on the host cell. To enter a host cell, HIV must first attach to a CD4 receptor, then attach to either the CCR5 or CXCR4 receptor, and finally fuse its membrane with the host cell membrane. HIV is usually R5-tropic (uses CCR5) during the early stages of infection, but the virus may later switch to using either CXCR4 or both CCR5 and CXCR4. This glossary of HIV/AIDS-related terms is from the U.S. Government Source for HIV/AIDS Medical Practice Guidelines, Clinical Trials, and Other Research Information. It was found online at the National Institutes of Health website, http://aidsinfo.nih.gov/.